This model is 188 cm and wears a size M. Their chest measures 99 cm and the waist 76 cm. 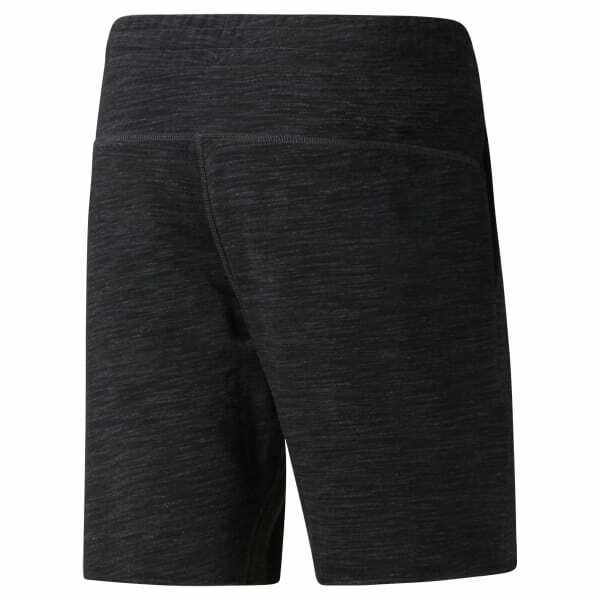 We designed these men's shorts for casual comfort on your rest days. Open hand pockets give you convenient storage as you lounge or hit the street. A drawcord helps with a custom fit, and the raw edging plus mélange effect adds laid-back vibes to the look.